A refreshing matcha soda for all green tea lovers. 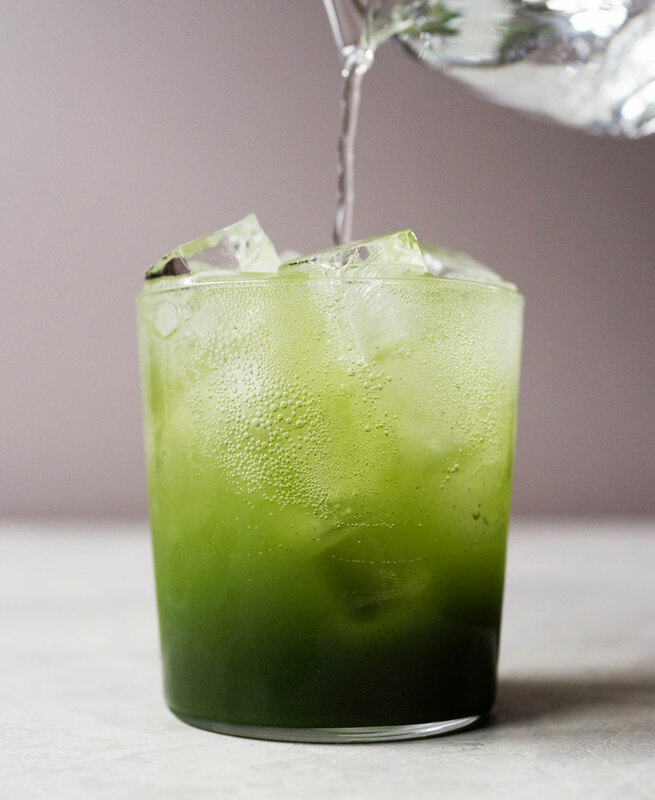 Fizzy water meets matcha syrup to create this bubbly tea drink. There have been a couple of companies that have attempted to make matcha soda but I never like the taste of them. You know why? They use very little sugar so that they can market it as a healthy drink. This matcha soda, my friend, isn’t a healthy drink. Sure it’s got antioxidants but there’s also sugar and that’s what makes it good. Measuring cup, a spoon, and a saucepan to make the simple syrup. To see the layered green colors. I like this one since it makes adorable small cubes. 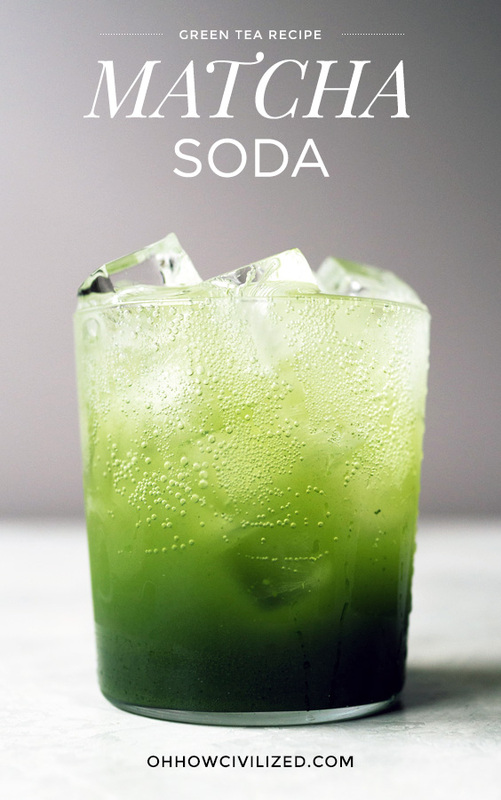 Matcha soda is just matcha simple syrup with carbonated, bubbly water. 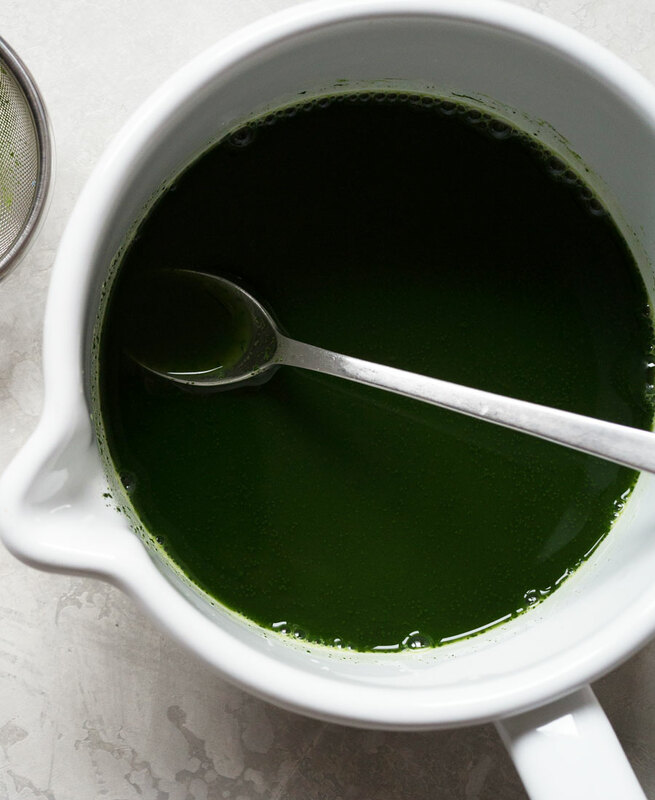 Making the matcha simple syrup takes about five minutes. It’s putting water and sugar on heat until the sugar completely dissolves. Then the matcha is sifted and stirred in. You may want to make the matcha syrup ahead of time since it’ll take a little bit to cool it down. 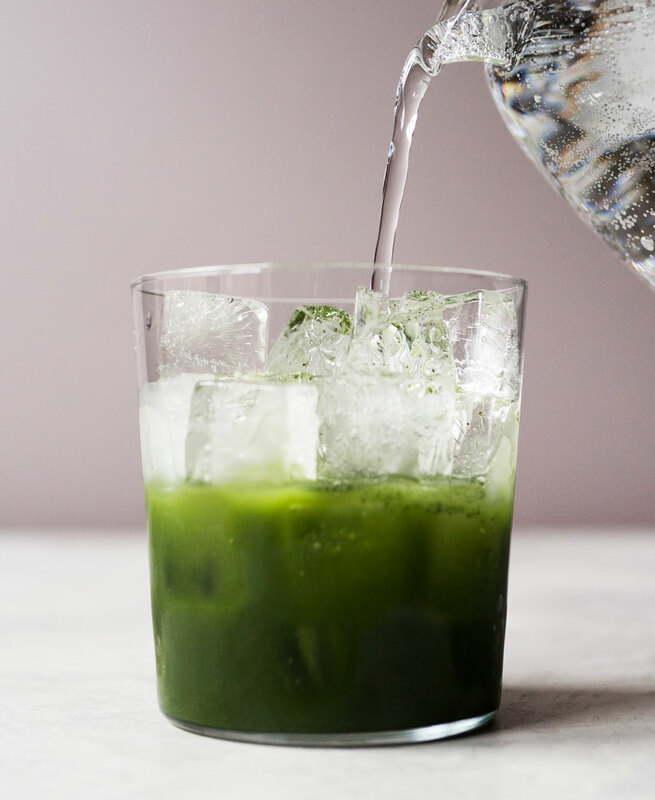 Ready to make the matcha soda? 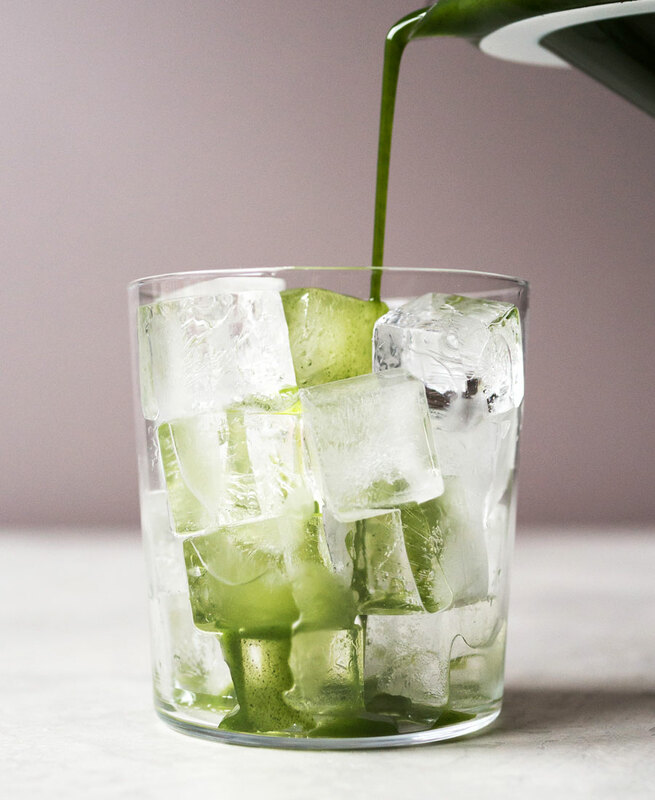 Get a glass filled with ice and pour in the matcha syrup. The matcha syrup is for two servings so it’ll fill about third of the way in each glass. Next, pour in the fizzy water. You can use any carbonated water (sparkling, seltzer, or club soda) you prefer. What’s the Difference Between Carbonated Waters? Seltzer water is plain water with carbon dioxide added into it. This is what you get from a SodaStream machine. 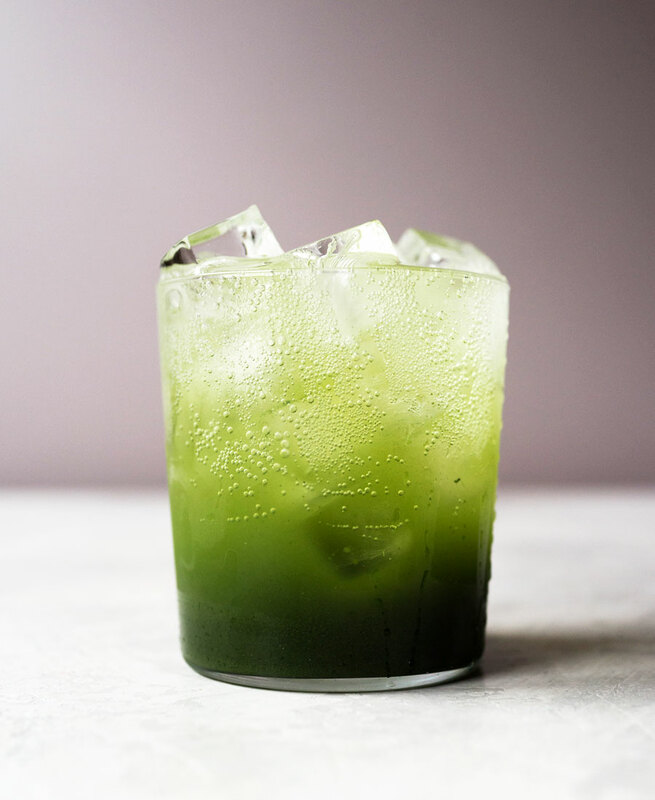 It has a clean taste and great for making drinks like this matcha soda. Club soda is seltzer water with minerals added into the water to enhance the flavor. Bubbles are formed by adding carbon dioxide. Sparkling water is natural spring water and contains minerals. Extra carbonation is not added (usually) and the bubbles are totally natural. Not recommended for mixed drinks because it has a distinct mineral flavor. Keep pouring the sparkling water until you’ve reached the top. Damn, look how refreshing that looks! 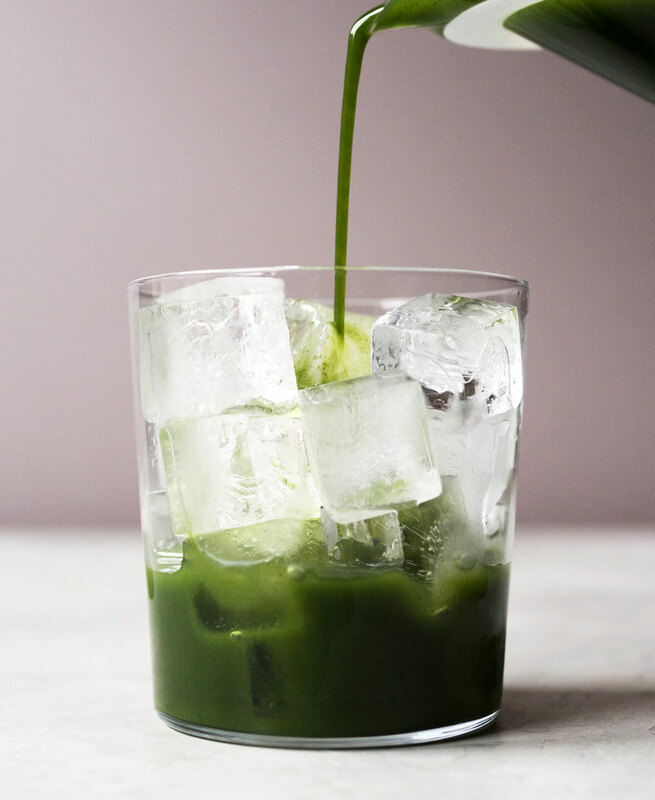 Each cup of matcha soda has about 1/8th of a cup of sugar which is two tablespoons. Add more or less matcha syrup to adjust to taste and sugar content. It looks pretty when you get the gradation but stir before drinking. Traditionally, matcha tea is paired with something sweet to counteract the slight bitterness from the powered green tea. That something sweet can be a small bite-sized dessert or confection. If you’re looking for an afternoon snack, try pairing matcha soda with mini financiers, berry mille-feuille, or perhaps even the best flapjacks (fruit bars) for something heartier. 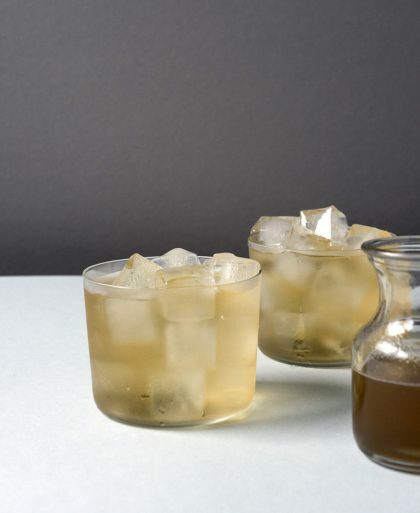 Fizzy water meets matcha syrup to create this bubbly tea drink. Make simple syrup by adding sugar and water into a saucepan and bringing it to a boil. Reduce heat to low and simmer for 5 minutes. Remove from heat. Stir in sifted matcha into the simple syrup. Let it cool completely. Fill two cups with ice. 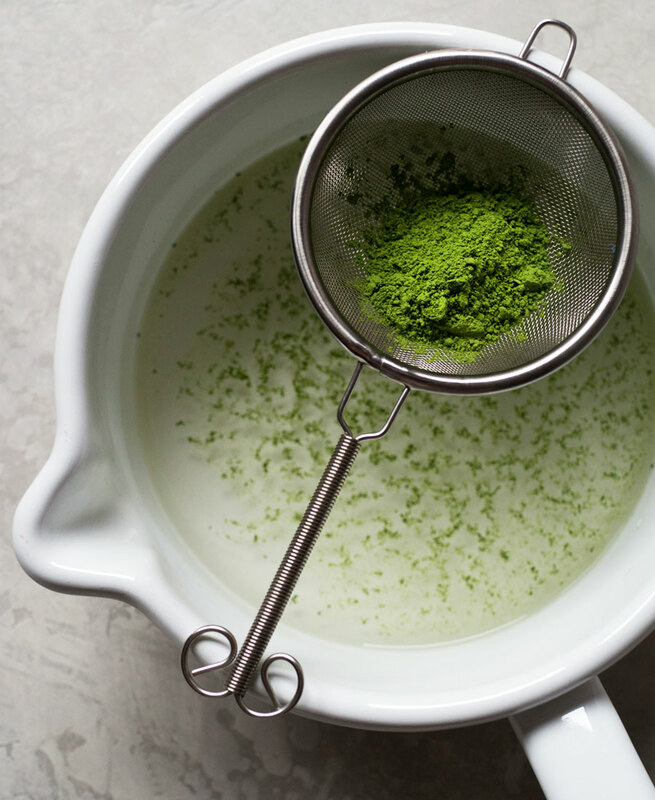 Pour in matcha syrup, dividing it evenly into the two cups. Fill each cup to the top with seltzer water.